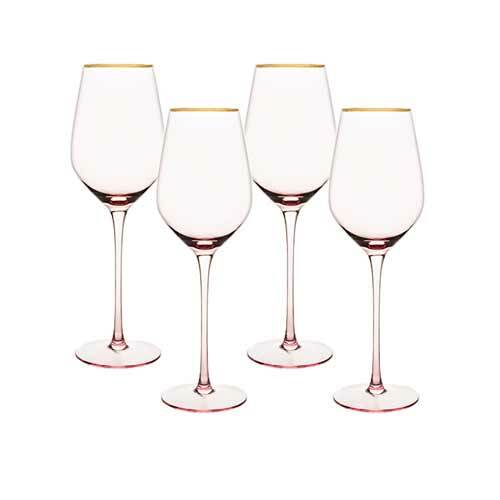 When shopping for wine glasses, you’ll find fancy and casual stemware in all kinds of shapes for all kinds of wine. Are all these options necessary? Do wine glasses even matter? As someone who has sipped sauvignon blanc from insulated mugs, plastic cups, and crystal stemware, I can tell you the drinking vessel doesn’t matter, big-picture-wise. But! It can make a difference in how you experience wine. This quick guide is for wine drinkers who want to keep it simple and stick to one or two glass styles. The rule of thumb is to select your wine glasses by pairing the types (not color) of wine you enjoy with the shape of the glass. Because wine glasses are often grouped into “red” and “white” categories, we’ll go with that naming convention for the purposes of this post. Red wine glasses with big, wide bowls are often called Burgundy glasses. These glasses are great for aerating wine. The wide cup exposes the wine to air and lets you swirl it easily (for spill-free swirling, fill glasses about 1/3 full). Aeration tames the bite when your wine is high in tannins—compounds that instantly dry your mouth—or very acidic (pinot noir, for example). Aerating wine helps dissipate unappetizing vapors, so they don’t smack you in the face as you sip. Sometimes freshly opened wines give off fumes like alcohol or sulfur—this doesn’t always mean the wine is bad; it just needs some good old oxygen. If the wine seems to be a little meh, it may be “closed.” According to Wine Spectator, aerating such wines can open them up, improving the taste. If you choose your wine adventurously (meaning you’re willing to try anything, especially when it's on sale), this might be a good glass choice, because if you don’t like the first sips, a little swirling might fix it. Bordeaux glasses have tall bowls and are good all-around wine glasses. 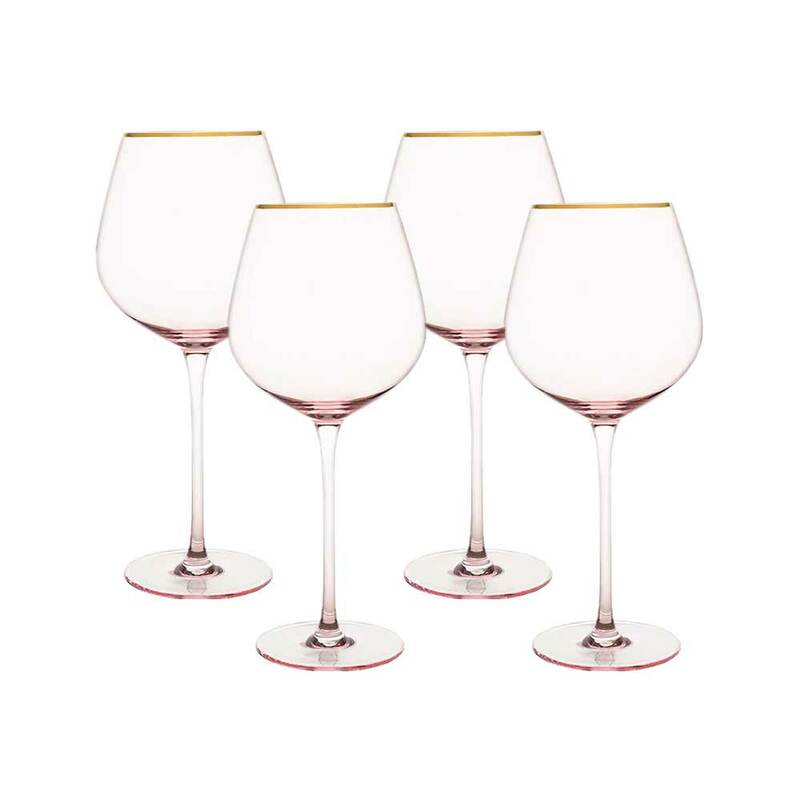 Ideal for full-bodied, spicy wines such as cabernet sauvignon or a bold chardonnay, the large glass lets you swirl and aerate and enjoy the full flavor of the wine while the narrower bowl corrals aromas. Do you usually put light, crisp wines in your shopping cart? White wine glasses are ideal for this group, which includes many whites, rosés, sparkling wines, and some reds. 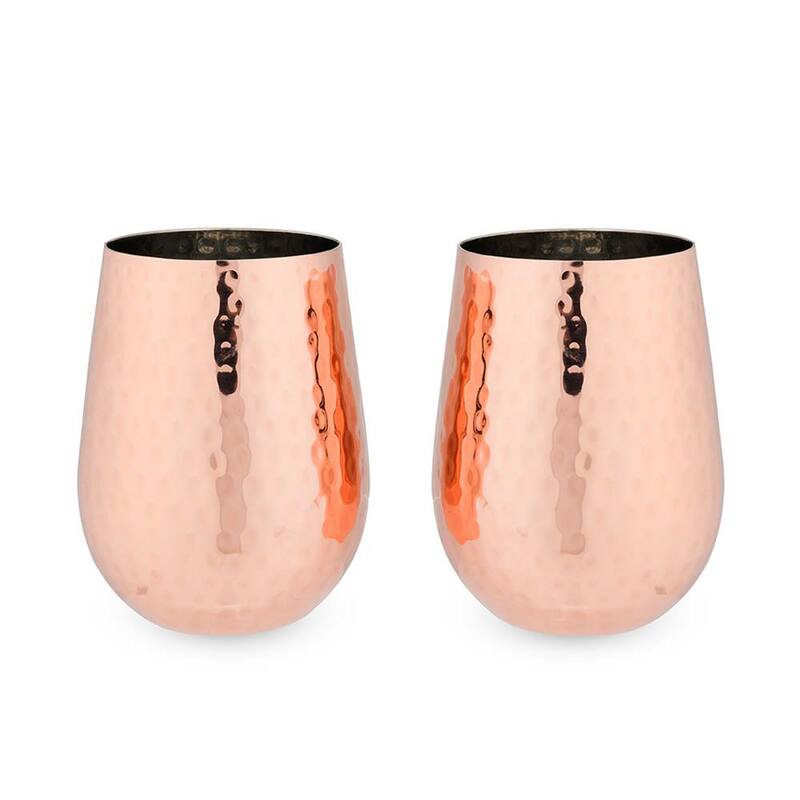 These glasses have smaller bowls and tend to be shorter, which benefits the wine. The smaller size keeps these wines crisp and cool, because less liquid is exposed to oxygen. In a larger glass, the crispness fades and the wine warms up faster. The narrower bowl focuses the aromas of lighter, more floral wines that would disappear in a wider glass. This is also why some Champagne lovers pour their bubbly into these glasses. Champagne flutes practically sing “special occasion” and they’re a fun way to serve sparkling wines. 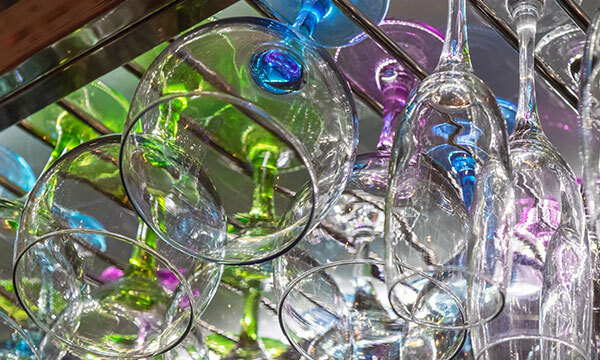 Who doesn’t love watching tiny bubbles rise to the top of these elegant glasses? The slender size keeps bubbles from dissipating quickly. Champagne saucers with wide, shallow bowls let you experience both bubbles and aromas. Bonus: they're great for ice cream desserts. 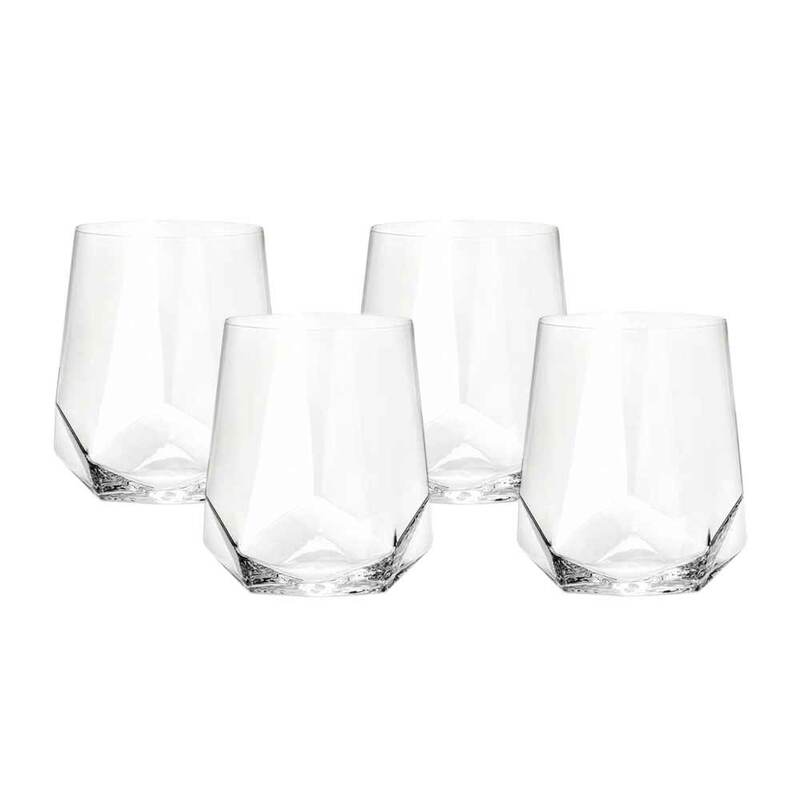 Petite wine glasses, like these Digestive glasses, are perfect for expensive sweet wines such as ice wine and fortified wines such as sherry. These wines are usually higher in alcohol and best savored in small doses. What about stemless wine glasses? We give them a thumbs up. They’re friendly, casual, and harder to knock over. Remember that your hands will warm the wine, nice if you’re drinking brandy or a full-flavored red. But if you want your drink to stay cold, use a stemmed glass (but I'm not above adding an ice cube). To sum up, if you prefer bold, fruity, spicy, or tannic wines, or you often grab interesting-looking bottles to try, go for go for big, wide bowls (aka red wine glasses). If light flavored, crisp, or sparkling wines are always in your fridge, choose smaller, narrower bowls (aka white wine glasses). If you have the space and like to get fancy, add Champagne and dessert stemware to your collection.